North Korea's official newspaper The Rodong Sinmun on Wednesday slammed the United States' demand for more money from South Korea in order to maintain its troops there. Seoul and Washington are struggling to agree on a new cost-sharing deal for the 28,500 U.S. troops stationed in South Korea. In the previous five-year contract that expired in December, Seoul was required to pay about 960 billion won ($848 million) a year. A South Korean lawmaker said earlier in January that the U.S. is now demanding for a 50 percent increase in the South’s contribution. Hong Young-pyo, a senior South Korean ruling party legislator, said the U.S. made a “sudden, unacceptable” demand that Seoul should pay more than 1.4 trillion won ($124 billion) every year. “The negotiations were deadlocked. The U.S. side suddenly made a proposal at the last stage which was difficult for us to accept,” Hong said, Voice Of America reported. The U.S. military has also reportedly told the South Korean workers on its bases they might be put on leave from mid-April if the deal was not finalized. Following this, the North Korean newspaper called the U.S’ demand "anachronistic” and said it goes against the ongoing efforts to ease military tensions on the Korean Peninsula, Yonhap reported. The U.S. was also reportedly looking to renegotiate the contract every year instead of every five years. “Washington is asking too much. It needs to be at a level that our people can swallow,” said South Korean lawmaker Baek Seung-joo, Stars And Stripes reported. “It doesn’t take into consideration South Korea’s ability to shoulder the financial burden. It’s not like the number of American troops in Korea has been doubled." Experts, however, believe the efforts to force allies to pay more is a key part of Donald Trump’ presidential platform. He has proved he can act unilaterally by ordering the withdrawal of troops from Syria. He also announced the suspension of joint military exercises on the Korean peninsula without consulting with Seoul. “The president is using the potential of troop withdrawal to influence SMA negotiations, to get more out of the deal. 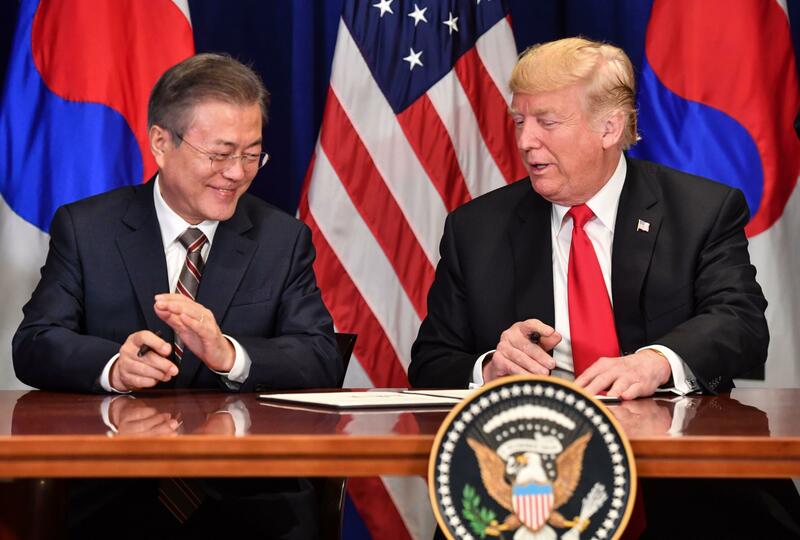 This is a fundamental difference because it puts the long-term strategic interests of the U.S. on the line in exchange for short-term economic gains, which is not something that we, to my knowledge, at least publicly, have been done before,” said Kyle Ferrier of the Korea Economic Institute of America.